This is one of those things that looks so complicated but nothing could be further from the truth. 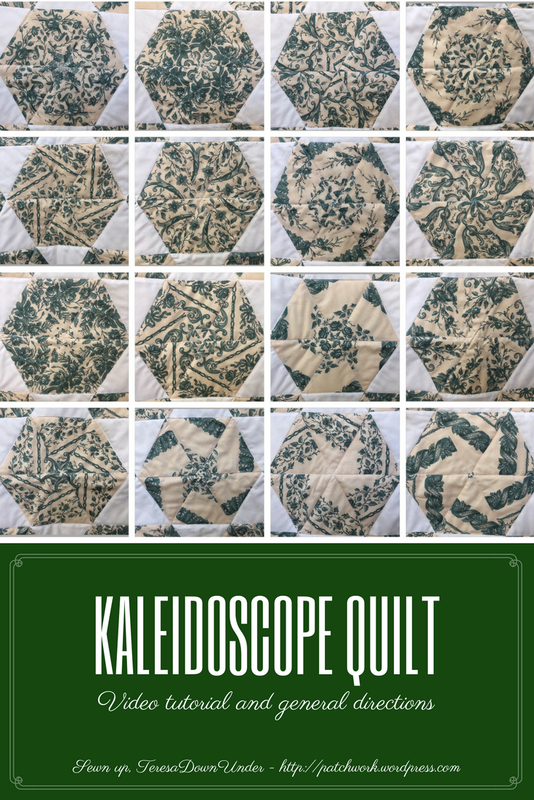 To make a kaleidoscope quilt, you only need fabric with a large print and 6 print repeats. Each block is a hexagon and uses 6 triangles. If you want to make it bigger, then get enough fabric for 12 print repeats or any number in multiples of 6. You don’t really need a 60 degree ruler. Learn in 2 minutes how to use a regular ruler to cut 60 degree triangles before you start. 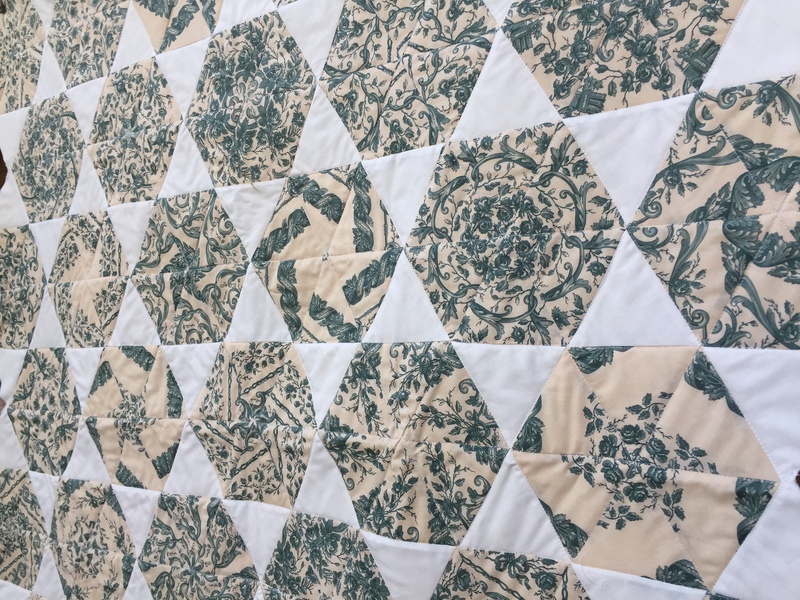 But first watch how easy it is to make this quilt. I used just over 2 yards of fabric and got 44 blocks all together. For the quilt I used 39 blocks and had 5 left over blocks. The background triangles are the same size as the hexagon triangles. If you like my videos subscribe to my channel. For kaleidoscop quilts I love to see the fabric used. It would give me an idea of what will and won’t work. Thank you for your tutorials. 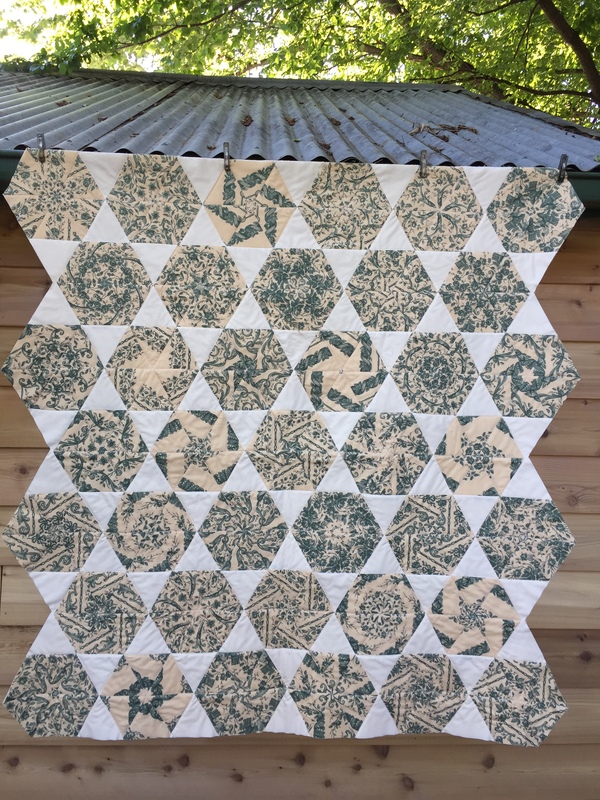 I do love kaleidoscope quilts. And I do subscribe to your channel on YouTube.